Austrian physician; born at Nagy-Kanizsa, Hungary, July 14, 1818; died at Vienna Jan. 8, 1889; educated at the University of Vienna (M.D. 1841). 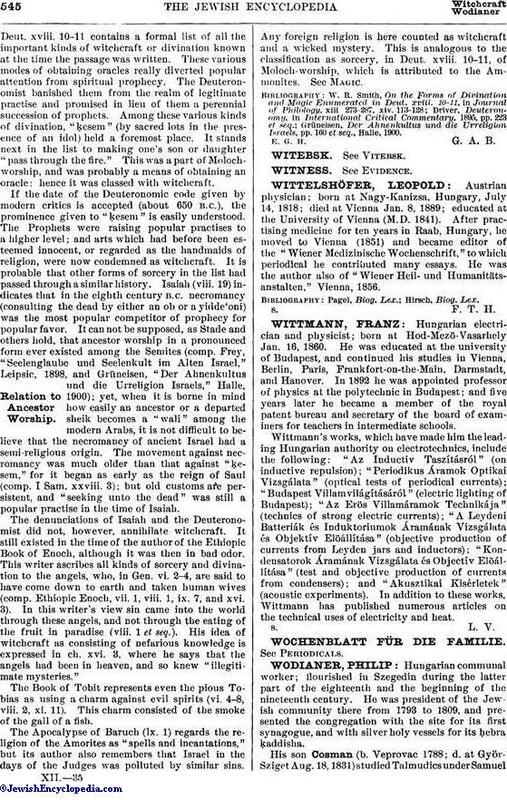 After practising medicine for ten years in Raab, Hungary, he moved to Vienna (1851) and became editor of the "Wiener Medizinische Wochenschrift," to which periodical he contributed many essays. He was the author also of "Wiener Heil- und Humanitätsanstalten," Vienna, 1856.